I've watched three dramas since our connection got cut off and I just can't pass without making my non sense review. Yamada Taro Monogatari, Voice and Ryusei no Kizuna.. :D.. posting them in one go seems easier.. so here ya go. What should I say about this drama? It's not a drama that connects every episode, it's more like different story per episode.. well almost. Well you expect it to be like that because it's about forensic medicine students. There has been a lot of dramas about medical fields but not much about forensic, because they are not fighting for a life, but instead they are trying to hear the last words the person died. It's a really neat thing. When you hear forensic the first thing that comes in your mind is CSI.. well it's more like that but very dramatic and less about the victim, it's more on the life being a student and how they get through a semester. Ow before anything else, did I mention how cool nurse Ikuta looks?? And Eita's Einstein hairstyle me likes. I really appreaciate now the detectives, forensic doctors and police for their minds, how they manage to imagine how accidents had occured, maybe because I'm young that's why my brain doesn't know much, but it's very "soo-ge!". I'm so glad I'm not watching just about lovey stories. I know enjoy having knowledge about different fields. 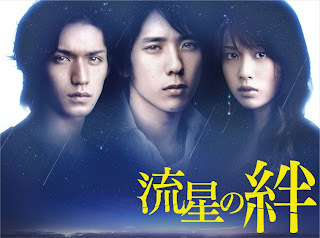 So I picked this drama without any knowledge about it. All I know is that my Nino-chan is the lead actor for this drama, I wasn't even sure if it's safe to watch it with my whole family. The whole plot of the story is very simple which makes it special drama for me.. because yes, there are not much drama and unbelievable situation. The only thing that irritates me is Sakurai's smirk and how his character react when Taro finally in a place where he doesn't need to have different jobs. I don't really get Sakurai's character to be there, but it does spies up the story. 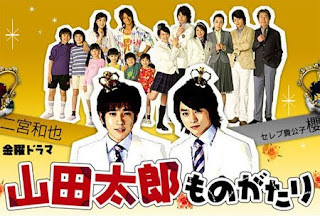 I really enjoyed watching Yamada Taro Monogatari, I'll definitely watch it again. I want more Nino! I was aware of this drama but didn't watch it right away because the promotional poster makes it look like a horror drama. It's in the suspense category but I don't think it's a suspense drama, more like a family and comedy. I love all the actors! Nino and Ryo-chan in one drama! woohoo! and Erika Toda from Death Note, and a new found actor to watch out Kaname Jun. The story is about how three sibbling bond started, having to face their lives ahead of them after losing their parents in a tragic murder. They grew up having in their minds to kill the killer with their own hands. I'm not really that focused on their history, because dwelling on it instead of moving on makes it worse but then again I don't have that much say because I haven't lose anyone close to me. But that's just my opinion about it. I'm more excited about the swindling part, yes I know it's bad but I really find it so cool how they do it.. It's very comical, I'm embracing japanese dramas for that. So yea, I learn a little bit of swindlers, the ending part is what I like, it's happy ending but they also faced the consequences of what they have done.